I continue to receive questions from CSRS employees and retirees about The Windfall Elimination Provision (WEP) and Government Pension Offset (GPO). The WEP and GPO are two provisions of the Social Security law that affect Social Security benefits to which CSRS retirees may be entitled. The WEP can apply to CSRS Offset and FERS Transferee retirees as well. The GPO will not apply to CSRS Offset and FERS Transferees once they have worked for 5 years under CSRS Offset or FERS. The Government Pension Offset’s offset of any Social Security benefit to which you would be entitled on the earnings record of another is usually so severe that it completely eliminates such benefit. These two provisions were introduced in the 1980′s in an early attempt to shore up the Social Security system and public employee supporters in Congress have been trying (with absolutely no success) to repeal or revise them since then. This article is an update of a detailed article I wrote on the Windfall Elimination Provision a few years ago. An upcoming article will revisit the Government Pension Offset. 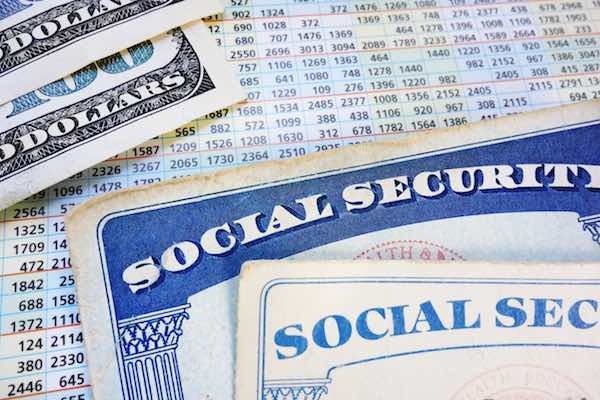 The Social Security System has a need-related component that is designed to replace a much greater portion of a low wage earner’s income than that of the high wage earner. CSRS employees, and others who have earned a retirement benefit based on work that was not covered by Social Security, most likely have many years in their Social Security earnings record where they had little or no employment covered by Social Security. They would look like a low wage earner to the Social Security system, even though they had been working at a good job and earning a pension the entire time. Social Security benefits are based on your lifetime earnings. The following is how they are computed in 2017. If you are affected by the WEP, the multiplication factor for the first “bend point” above will be less than 90%. How much it is reduced depends on how many years of substantial earnings under Social Security. If you have 20 or fewer years of substantial earnings (most of us CSRS folks) your benefit will be computed using the 40% factor. For years over 20, the factor increases by 5% a year until it reaches 90% after 30 years. This Social Security Factsheet on the WEP has a chart on what constitutes substantial earnings. CSRS Offset and FERS Transferees should be aware that they must meet the same 30 years of substantial earnings test in order to avoid the WEP. The fact that they are in CSRS Offset and paying into Social Security now will not give them a pass. If you’re CSRS Offset or a FERS Transferee, compare your earnings record with the substantial earnings chart to determine your years of substantial earnings. If the monthly benefit shown on your Social Security Statement is greater than $816, subtract $443 from it. CSRS Offset and Social Security: How Will Your Annuity Be Calculated? Will Working Longer Increase My Social Security Benefits? When Can You Expect Your First Social Security Payment?